Gargoyle understands that everyone has different styles. In our publications we want to be able to showcase a diverse range of styles, voices and values. We want to represent a broad spectrum of identities and artistic sensibilities in our creative content. We strive to provide avenues for artists and creators who would not otherwise have access to experiences in a creative field like publishing. At Gargoyle we value our ability to push the boundaries of commercial creativity while at the same time curating and maintaining a sense of good taste. Gargoyle is not seeking grotesque sensationalism, we’re looking for pieces that are honest and have something to say, especially if that honesty is difficult for people to express and acknowledge. 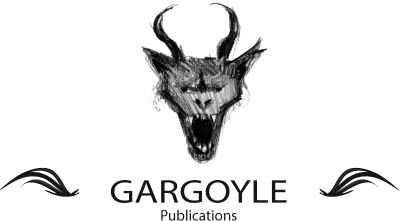 At Gargoyle we are only seeking new original content. Currently we are not accepting any material produced before January 2016. Gargoyle provides financial support for projects. This might include paying visual artists for illustrations in a book or providing the initial capital required to print a mass quantity of books. Gargoyle has a house designer on retainer and can provide main aspects of creative refinement. In the event your work is selected Gargoyle editors will work through several drafts to make sure your piece serves you best as a creator and holds up to a house standard of quality. This goes for writers and visual artists . Roughs and drafts are part of a ongoing process of striving to create the best art we possibly can. “Doing it right” can often mean taking more time. Music Essays & Musician Interviews. 1 original Fiction/Non-Fiction 1000-1500 word piece, any topic. 3 One page concept pitches for future stories. All work must be labelled with titles, author’s name and e-mail name in PDF format. 1-3 paragraph concept pitch for a piece of work you’d like to contribute. PDF format. There will be a personal response to your submissions.